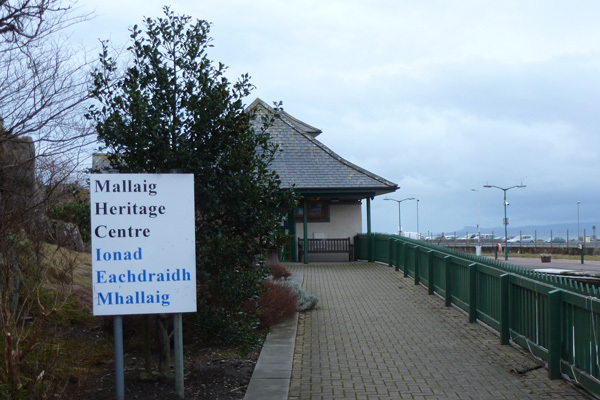 The Heritage Centre in Mallaig, Morar provides a unique insight into the landscape, history and culture of the Rough Bounds through exhibits, models and film. The Rough Bounds (consisting of Arisaig, North Morar, Moidart and Knoydart) is a region renowned for its wild, remote and rugged typography. The region has been inhabited for thousands of years and witnessed many invasions, migrations, large scale clearances, hardship and poverty. More recently, steamers, the railway and roads have effected widespread changes to the crofting lifestyle, bringing tourism and industry to this remote area. Such changes are described through a series of exhibits, including text, photos, painting, personal stories, objects and artefacts. There are exhibits on population and lifestyle changes during 19th and 20th century, the growth and impact of the fishing industry, the arrival of the railway, the women herring gutters and kipper factories, the changing fortunes of the fishing port (boom and bust), and the history of the crofting communities of Morar and Knoydart. There is also an exhibit on Special Operations Executive whose mission was to keep up morale of the inhabitants of occupied Europe, to engage in acts of sabotage and to support underground resistance movements. The training of the agents took place in and around Lochailort and included training in small arms and explosives and sabotage. Artefacts include an incendiary bomb, detonators and war memorabilia. 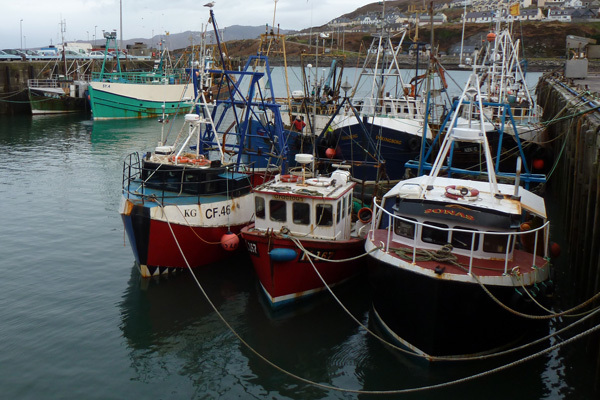 There is also a series of short videos on the development of the fishing industry in Mallaig, the wildlife and landscape, history and landscape and archive films. Each category contains a selection of short videos on related topics. Objects include fishing equipment (including a ships bell, sextant and compass, as well as net needles and spinning weights) model ships and trains, memorabilia, household artefacts and the cooper’s tools of the trade. 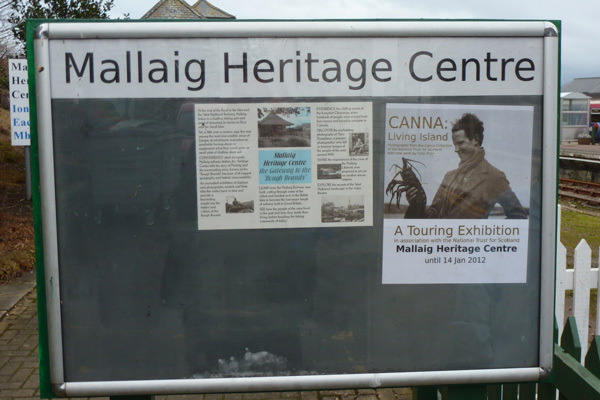 Other exhibits include on Morar’s Millennium Eagle Project, marine wildlife and the RNLI lifeboats. There is also a rock cabinet containing 12 different rocks from Strontian, as well as quarried mica (a former short-lived industry) and fossilised wood. There is also a small shop on site. 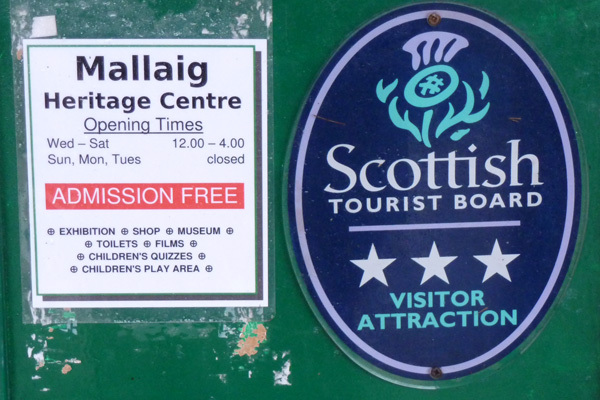 A really interesting introduction to the fortunes and misfortunes of Mallaig as a bustling fishing port. Well worth a visit.